Stay in Panama’s most unique boutique hotels. From your chic and nostalgic apartment in Panama City’s Old Town (Casco Viejo), to the cozy fireplace of Panamonte Inn in Boquete to the private island resort of Isla Palenque, you will be seduced by the service and amenities of these boutique properties. This package also includes some of our best recommendations for day trips in each location. Explore the fertile lands of Boquete, hike the national park, kayak the pristine coastline, marvel at the Panama Canal, meander through the streets of Casco Viejo and dine at the sensational ‘Donde Jose’ restaurant in this full, magical, boutique adventure. Arrive at Tocumen International Airport and immediately transfer for your internal flight with renowned Copa Airlines directly to David. 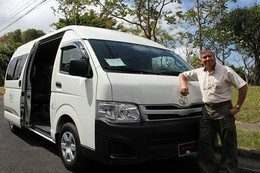 Take a private ground transfer over one of the best 4 lane highways in all central America to the beautiful village of Boquete. Set in the highlands close to the border of Costa Rica, Boquete is the perfect introduction to the delights Panama has to offer. With a year round Spring-like climate, picture perfect views of lush valleys and crystal clear waterfalls, and with English commonly spoken, this quaint mountain town will take your breath away. You’ll stay at the Hotel Panamonte and Spa – a charming historic inn which boasts luxury and elegance with personalised service. The superb location means you are a stones throw from all the attractions Boquete offers, but impeccable furnishings, relaxed ambience and first class service may make you never want to leave! A full morning exploring is enough to work up a hunger – help pick and create your own picnic style lunch at the picturesque Rubio working farm where you will feast on local dishes, fruits, cheeses and seasonal vegetables. Prepare for some exercise today as we head out hiking the winding Culebra trail through the stunning Amistad National Park which is shared by both Costa Rica and Panama hence the name ‘Amistad’ which translates to friendship. Cool off in one of the enchanting ‘hidden’ waterfalls on route – the chilly water is sure to simulate the senses. Finish the hike at the beautiful Finca Lerida. Here, we have lunch around 1 or 1:30pm, served picnic style. Your visit also includes a complete coffee tour and tasting. This private island resort has recently made it onto the National Geographic’s Unique Lodges of the world list – 1 of only 55 in the world and the very first in Panama! And it’s easy to see why. Designed in perfect harmony with the abundance of nature around. Use your free afternoon to explore your new surroundings – 400 acres of rich primary growth forests and 7 private beaches or simply unwind next to the pool with a freshly mixed cocktail. Explore the virgin shores of Isla Palenque’s island neighbors in the Gulf of Chiriquí National Marine Park in this exclusive island-hopping tour. for swimming and snorkeling. Or if that sounds too energetic, relax on these pristine, golden sandy beaches fringed with jungle. A late afternoon flight back to Panama City means you have the morning to indulge in beach life one last time. Join a guided hike round the island, explore the ocean via kayak or stand up paddle board or enjoy your last few hours with a good book in your sumptuous bungalow. Once back in the city, check into La Concordia Boutique Hotel. Located in an iconic, world heritage protected building, this romantic boutique hotel offers the perfect spot to explore Panama’s past and present and luxuriate in the resplendent decor. Dine late at the Chef’s table at Donde Jose – a tiny restaurant that has made it onto the list of the top 50 restaurants in the world. Expect a culinary masterpiece as Cordon-Bleu trained chef Jose Carlos explains the inspiration and design of each dish as he unravels his story of Panamanian food. 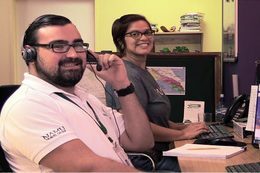 Get picked up by your private guide and start your exploration of Panama City and the Canal. Tour the Miraflores Visitor Center and Museum and learn the fascinating history of the canal before heading to the viewing deck to see the ships transiting one of the most impressive feats of human engineering. Next stop is the guided tour of the stunning Casco Viejo – Panama’s Old Quarter. Wander the streets of this UNESCO World Heritage Site and marvel at the 400 year old architecture while your guide fills you in on the historical significance of this area. Stop at one of the many mouthwatering restaurants, like Fonda Lo Que Hay for lunch before visiting the Amador Causeway. Take in the views of Panama and enjoy a walk along this famous promenade connecting three islands in the Bay of Panama. Take your ground transfer back to Tocumen to return home full of memories of your Boutique style vacation.